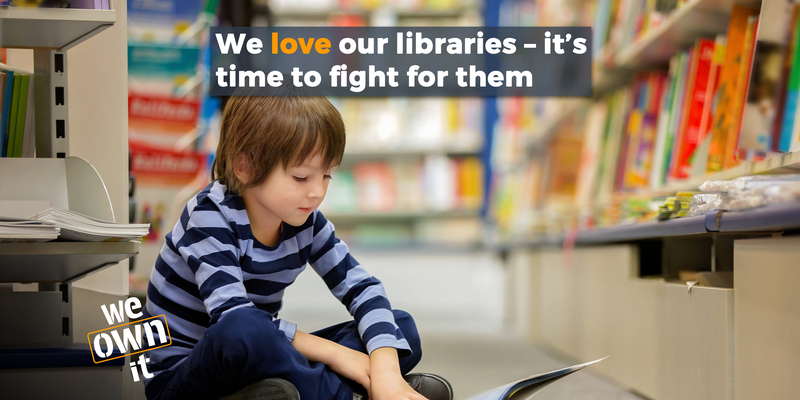 Campaigners in Bristol have organised an event for World Book Day to protest the underfunding and privatisation of their local libraries. 1/3 of Bristol's libraries are closed on Thursdays, and will therefore be closed on World Book Day itself, Thursday 1st of March. Lovers of books are invited to go to Bristol City Hall at 10:30 AM on the 1st of March to read and discuss their favourite books. If you're in Bristol, why not head down with a book that is special to you? The event is organised by the wonderful Me and My Library, who are working to stop privatisation and underfunding of libraries. Delighted that the Bristol "Me and My Facebook" is on We Own It facebook.